Hot Stone Massage Training by That’s Better is provided in two levels and a shorter Spa On-site training is also available if you wish to train your staff on-site, nationally or internationally. The certified training is called Sacred Stone massage and the first level is provided in two separate levels. Hot Stone Massage Training – Sacred Stone Level 1 – The first level covers providing students with the theory and practical experience to complete a full 90 min Sacred Stone hot stone massage. 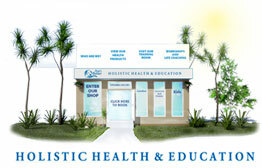 The second level provides training and practice on how to incorporate cold stones into the routine, coupled with advanced massage techniques for sports injuries and a variety of spinal layouts. Benefits of Sacred Stone ™ Massage v’s competition. Benefits to the therapist and client.